It’s been two months since I began this endeavor called blogging. Admittedly, after the past 60 days of it, I find myself in awe of Julie Powell and her ability to attempt all of Julia Child’s recipes from Mastering the Art of French Cooking and to blog about them for 365 consecutive days. That was quite an undertaking, and one worthy of all the attention it received, not to mention the book and film that followed. 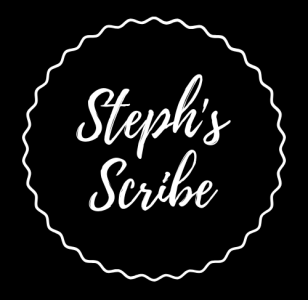 I told myself when I committed to the idea of Steph’s Scribe that I have to write a minimum of two entries per week, sometimes more if something strikes my fancy. I find myself wanting to write for it constantly and continually come up with all kinds of ideas, though I am often meticulous about and discerning of the topics I will discuss. Like my friend Charlotte English wrote today in her post “It’s All About Me” on Words About Words, I didn’t want my blog to be about my daily life with family and friends and what I ate for breakfast, but rather about poignant life moments, literature, and of course, letter writing. I am even contemplating a little “how to” clinic on writing the perfect love letter in the hopes of encouraging a return of the lost art. Additionally, another friend and fellow writer, Jim Abbiati, will be my guest blogger later this month, and we have something cool up our sleeves to share with other writers. There’s an endless possibility of information to share and I’ve found that gives me the most joy. The truth is, when tailor-making a blog, one of the key components I’ve read about from experts that can ensure its success is streamlining the subjects the blog will discuss. However, like a really good smorgasbord, I enjoy talking about so many different subjects; hence, I cheated a little with my broad tagline at the top of my page that reads “musings on life, love, literature, and letters” to allow myself some leeway with regard to content. It’s equivalent to the reason why I can’t get a tattoo–it’s just way too much commitment to one thing for me. I like variety, and the inability to change that tattoo is far too restricting. Sometimes a broadness in categories helps us crossover and delve into areas we wouldn’t normally roam. In the non-fiction book, Jane Austen: Her Life and Her Letters by William Austen-Leigh and Richard Arthur Austen-Leigh, we get a glimpse into the life of Jane Austen and her thoughts through the correspondences she sent to her sister Cassandra, family, and others. This type of documentation allows us to get to know her through her letters and ideas and reactions to things. When the culmination of her letters is put together in book form, one realizes it could have been a scintillating blog: Jane Austen’s blog about life, love, literature, and letters. I would have subscribed to it in no time (though I may have chased her down for stealing my tagline)! A blog is reminiscent of a letter: it’s our reflections sent out into the blogosphere for someone to read and enjoy. It’s the way I look at it when I’m crafting my thoughts—I keep in the back of my head to write my pieces as if I am writing a letter to friendly faces I know, as if I am intimately speaking or writing to someone dear to me. My friend told me yesterday that she enjoyed my blog post on Hemingway. She said she felt as if she were sitting in one of my lectures, learning something (case in point: she is not, nor ever has been, a student of mine, but I appreciated her ability to imagine being one). She also said that’s why she loves my blog—because she never knows what she’s going to get. Will it be funny? Poignant? Instructional? Make you think? I love this comment, and am holding on to it; I’m so glad that she relayed it to me. It makes me want to work harder to give it my all, to try to keep it fresh and full of surprises. Indeed, it’s something to strive for. 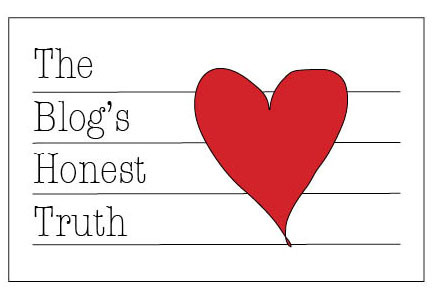 And that’s the blog’s honest truth. Previous Post Elephants…Again. But this time, they’re Hemingway’s. Next Post Change. For the better. (I hope). The downside to blogs that stick closely to one subject area is that they can become dull over time. I worry about that myself a little – someday I’ll reach the point where I’ve covered most of the things that can reasonably be said about writing and reading and then what? I start repeating myself? I like that your blog has a bit more variety than some, but without being random. It is reliably entertaining. By the way, I love the idea about Jane Austen’s blog. If only there could be such a thing! It’s a great model to work from.